Tan is very smart, helpful and responsive. He understood our needs and provided professional services which helped us to make wise decision. My husband and I are thankful to have Tan as our agent. 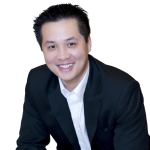 Tan contacted us without any previous contact with him, He was very professional and always gave us very clear and accurate information about the listing of our home from the time it was listed o the time it was sold. Tan was our Agent for 2 separate property transactions. He's hardworking and dedicated. Our example is the first property that we had. This property had been listed with a local agent with no results. After we signed up with Tan, it was quickly sold. He advised us throughout the process and expectations e.g. listing, open house, negotiations, closing, etc. We did not hesitate to sign with him again when we were ready for another real estate transaction. I never had property sold before and was quite nervous about it. Mr. Truong took it in stride and helped along to the sale and beyond the sale. I strongly recommend Mr. Truong to any buyer, seller, renter. He's great. Tan has good knowledge of the realty process and is very good at explaining things. In addition, he's helped us with some minor home improvement tasks to ensure our property was well maintained.